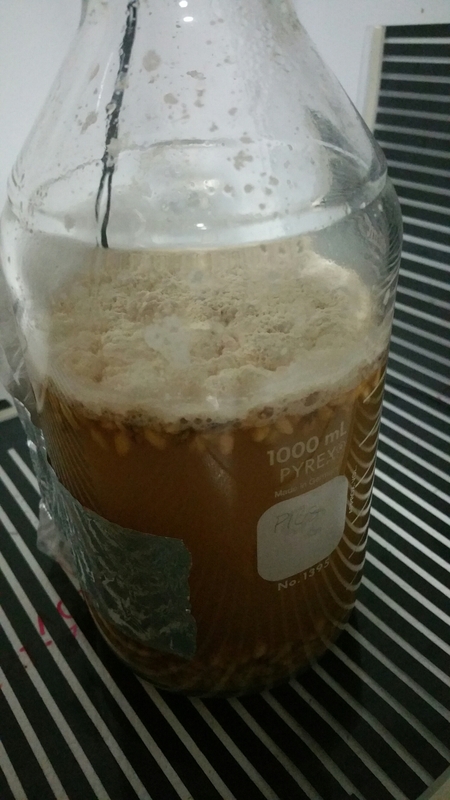 After my experience with WLP672 Lactobacillus Brevis, I’ve wanted to explore some other methods for quick souring wort. The first and most obvious choice was to try using grain. 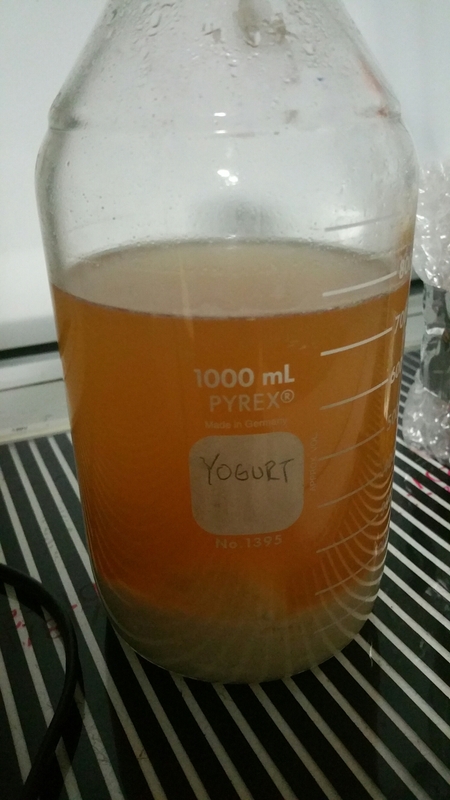 I’d also heard of others trying yogurt cultures to sour wort. Since I had just gone to the grocery store I had fresh yogurt on hand. I made up a batch of 1.036 OG wort and put some of the grain and yogurt into 800 ml each. Though I’ve read that taking certain precautions such as lowering pH and purging the headspace with carbon dioxide can yield better results, I decided to try without this time. I’m ultimately looking for the simplest most repeatable method. I set the containers up on a heating pad with a controller in one of my fermentation chambers set at 95F (35C). The grain starter has formed a white chalky pellice. 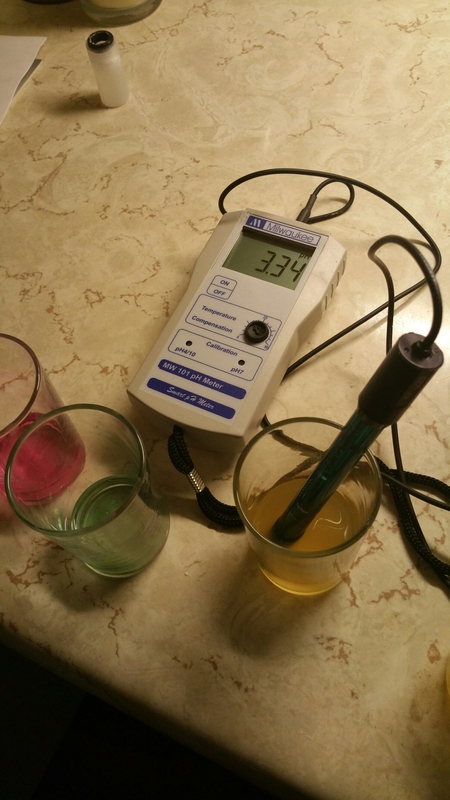 I pulled a sample for a pH reading and tasting. It smells unpleasant like antiseptic phenols. The taste has that undesirable quality as well, but it’s quite tart and slightly acetic. PH read 3.43. The yogurt starter didn’t look too exciting, just like the yogurt has separated out of the wort. This sample was nice and clean with a hint of tartness. 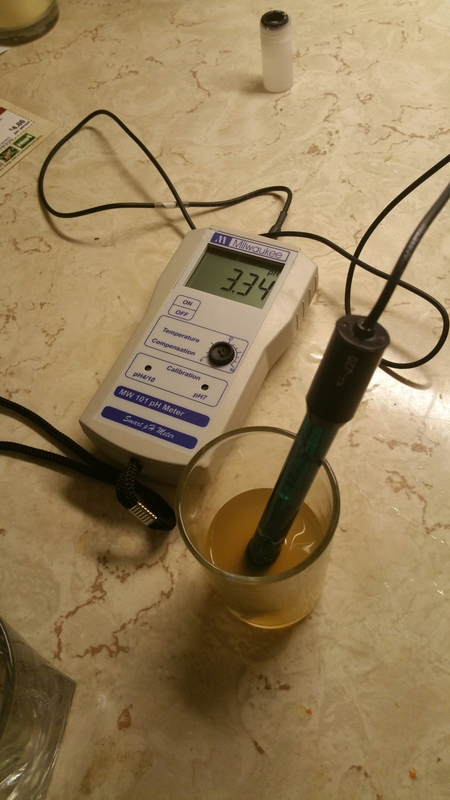 I will say it is very similar to the WLP672 Lactobacillus Brevis I used in my quick Berliner. Maybe better. PH read 3.72. I’ll be tossing out the grain starter to try again. Next time I’ll purge with co2 and start off with an acidic environment. That may prevent the bad phenols from forming. 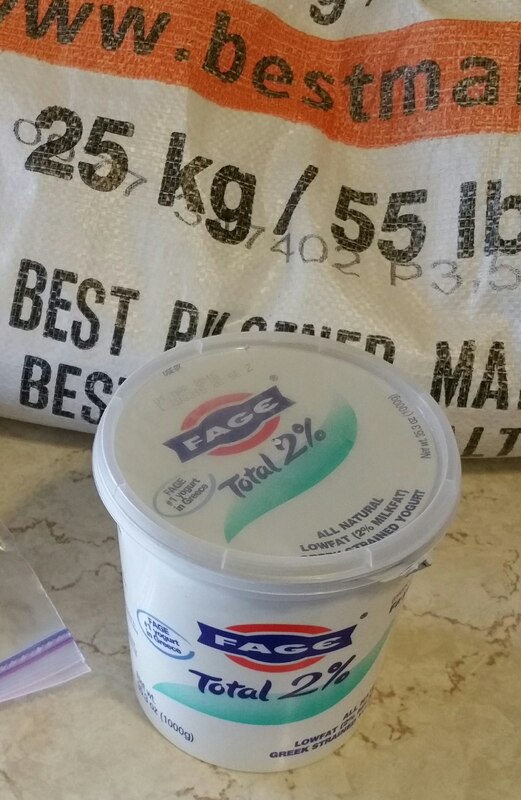 I will continue to monitor the yogurt starter to see how acidic it will get. The yogurt culture has reached pH 3.34 within 72 hrs. Still tastes clean with more tartness now and is getting to the point where you can feel it just a tiny bit in the back of your cheeks. No further drop in pH on the yogurt culture. It is considerably more tart than my result with WLP672 and reached this level in 3 days. 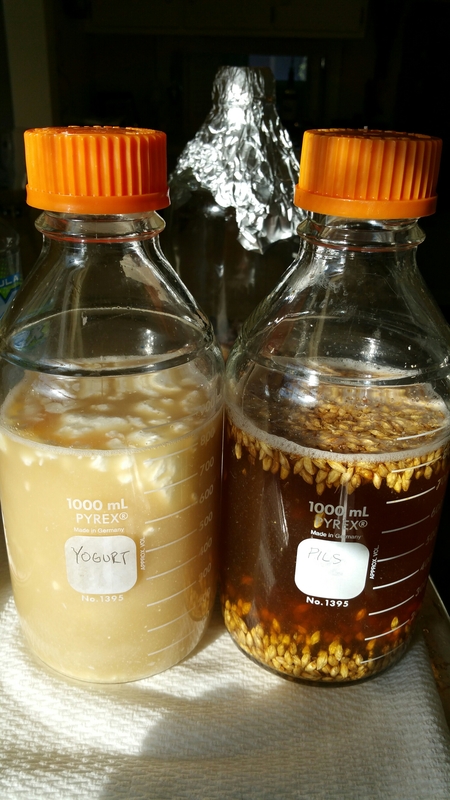 Through further experimentation I may be able to find the ideal conditions for the yogurt culture to perform better. I will definitely consider this method for my next quick sour beer. It produced a very clean and significant amount of tartness using a readibly available culture. 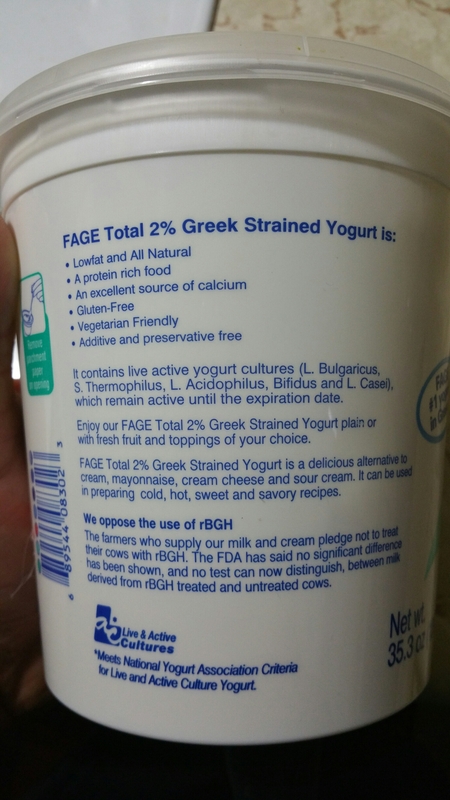 Its less expensive than buying a culture at around $4 a tub, and I can eat what I don’t use. Also, due to food industry standards, I probably don’t have to worry about the quality and viability of the culture. 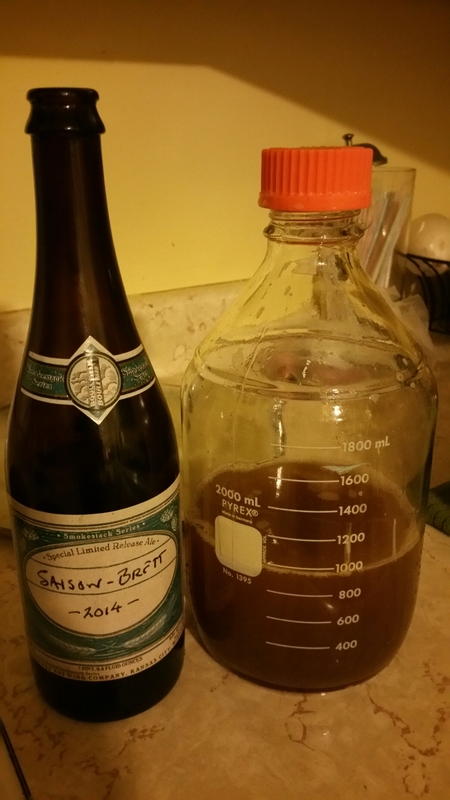 After a lot of thought and reading i’ve decided to brew a brett saison. I haven’t met one I didn’t like, and am going to try to create my own. After reading “Farmhouse Ales” by Phil Markowski I’ve gained an appreciation for what Saisons and farmhouse ales truly were including for whom and for what purpose they were brewed. Traditionally these ales were brewed on the farm during the fall to be consumed by the farmhands in the following spring and heat of the summer when it was too hot to brew. They were meant to be light and refreshing and not strong enough to hinder work on the farm. 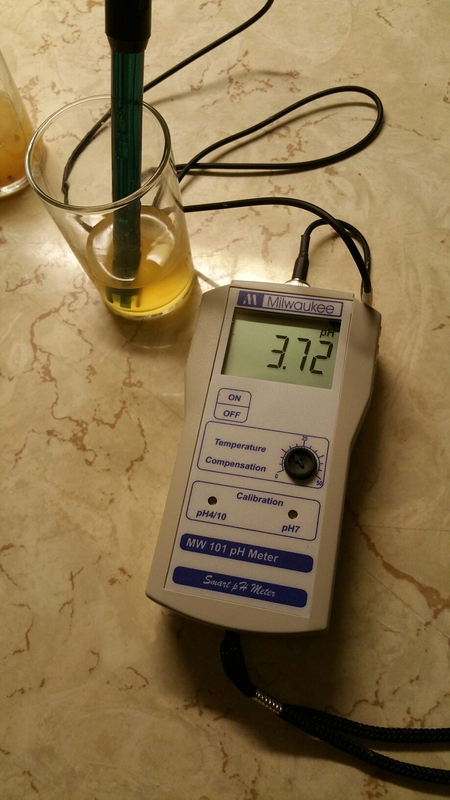 Most had some level of funk or sourness due to the conditions of the farm brewhouse. The few that I’ve had that met this description have been those that I’ve enjoyed the most. For this reason I’m going to create a relatively low gravity (1.044 OG) beer with a mixed fermentation including a Saison yeast strain and Brettanomyces for added funk. For the sake of simplicity, I’ll be using 100% pilsener malt for this brew. DuPont uses 100% pilsener for their Vielle Provision, the quintessential beer of the style. 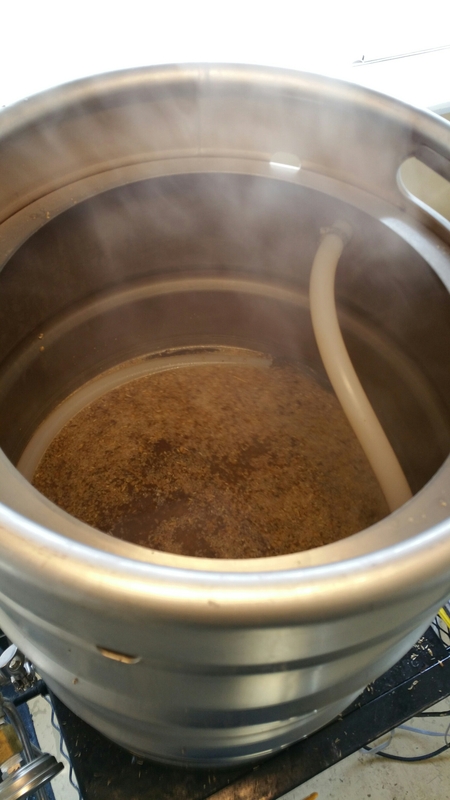 I know many farmhouse ales have complex malt bills, and farmers would generally throw in whatever grains they had on hand, but why not start simple? 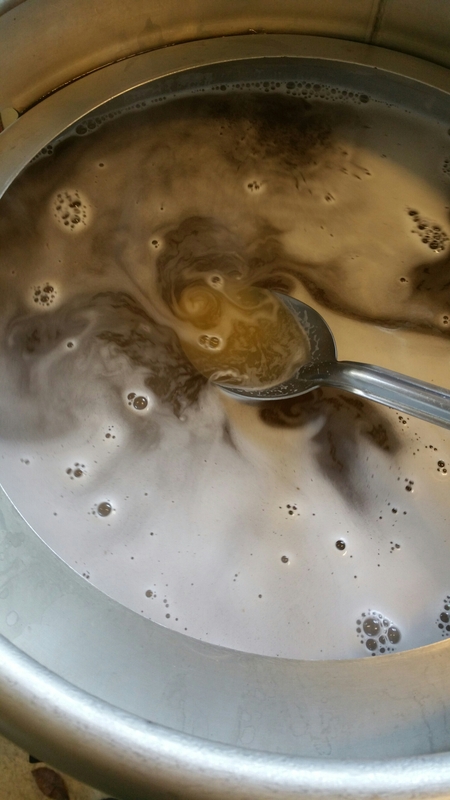 I can always modify the recipe if I don’t feel the Brett had enough to feed on or the malt flavor lacks complexity. With such a simple malt bill I will mash at a high temperature to create longer chain sugars to feed the Brett. 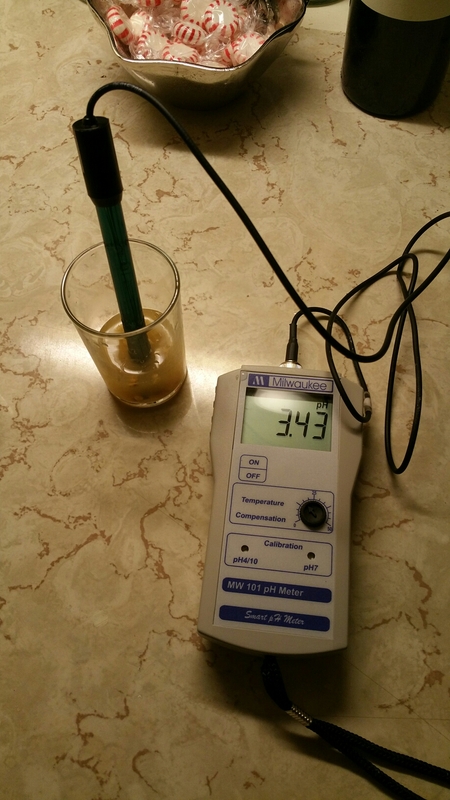 For the Saccharomyces Strain, I decided on the DuPont strain, Wyeast 3724. It will give fruity and spicy notes essential for a farmhouse ale. I’ve also read that it tends to stall at around 1.024 which should give the Brett. A chance to take over and add some funk. 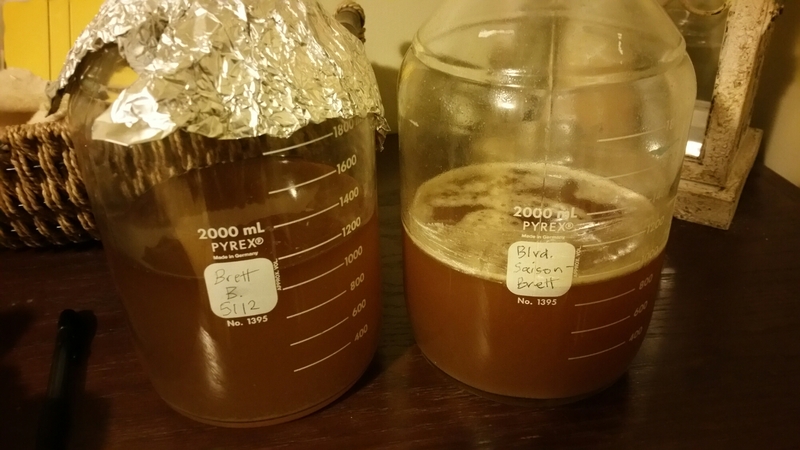 For the Brettanomyces strains I decided to split the batch and take two different approaches. 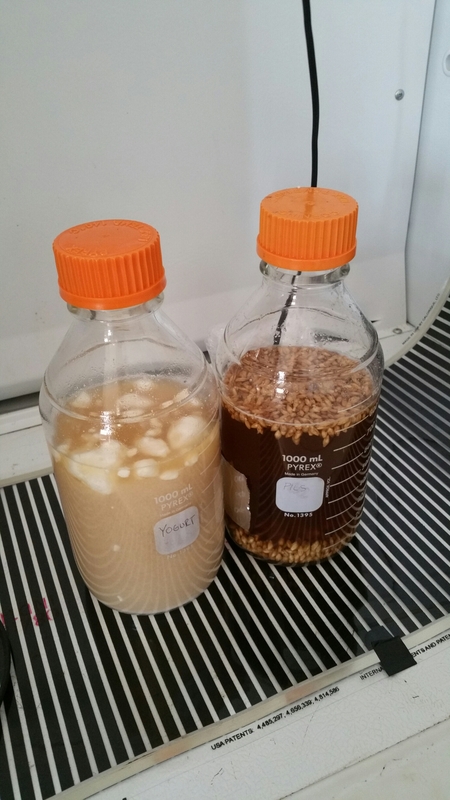 One will be inoculated with a starter culture from boulevard Saison-Brett dregs while the other will use Wyeast 5112 Brettanomyces Bruxelensis. I’m hoping to get the classic “horse blanket” funk that I’ve enjoyed in some commercial farmhouse ales. Mash at 158F for 45 min. Mash out at 170F for 10 min. 1.5 oz Amarillo @ 30 min. 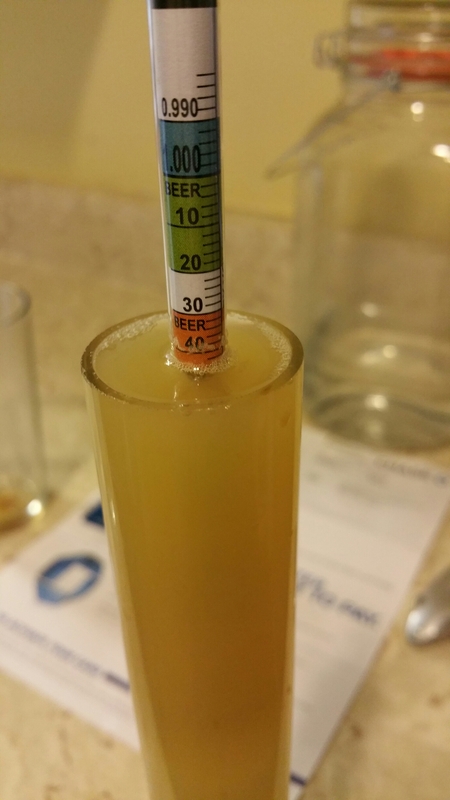 1.5 oz Amarillo @ 15 min. 1.5 oz Amarillo @ 5 min. 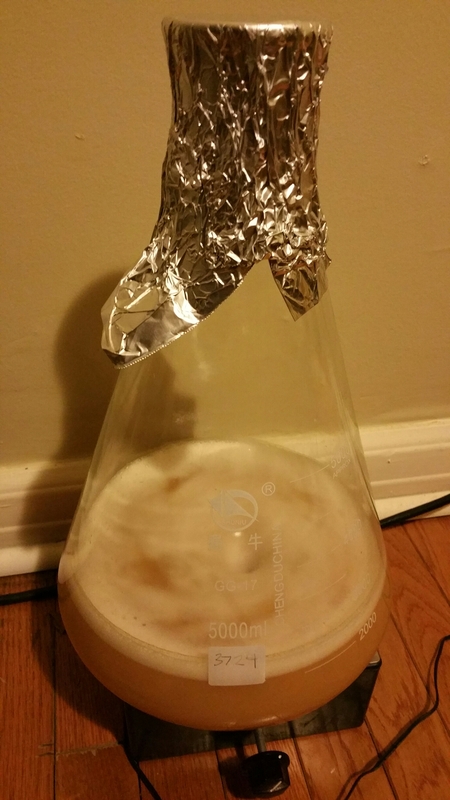 Let fermentation continue in the house at about 70 until gravity stabilizes. Bottle in 750 ml bottles with priming sugar, condition 2 months. For the bottle dregs starter, I left about 1.5 fingers of beer in the bottle, swirled, and pitched into 1L of 1.036 wort. For the other starters I made 3L of wort, 2L went into the erlenmeyer for the 3724, 1L for the 5112. 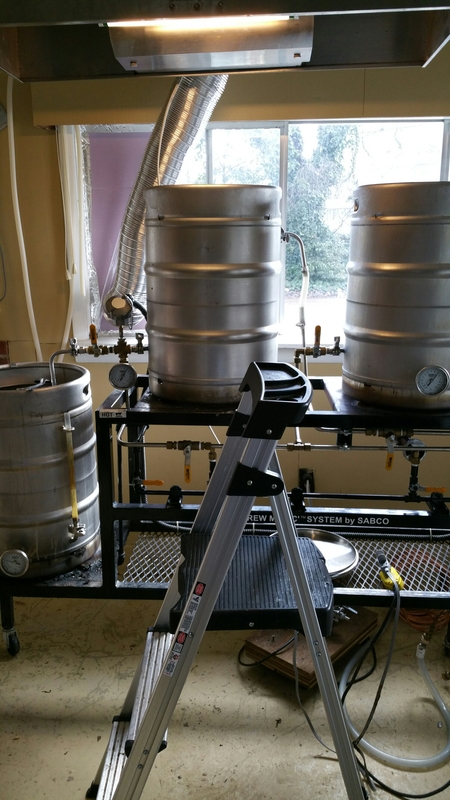 Upon brew day the 3724 was very active and ready to go. The Saison-Brett starter smelled amazing, Nice funky Brett and fruit. The 5112 was very funky and had some diacetyl notes that I wasn’t expecting. It smelled like funky barnyard hay and butter. Hit the numbers spot on. 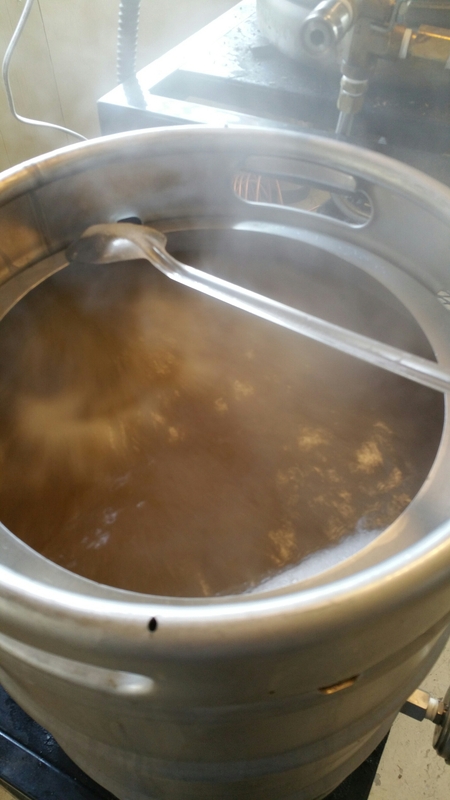 The brew day couldn’t have gone more smoothly, other than the last minute hop substitution. Hit my numbers for 80% efficiency. 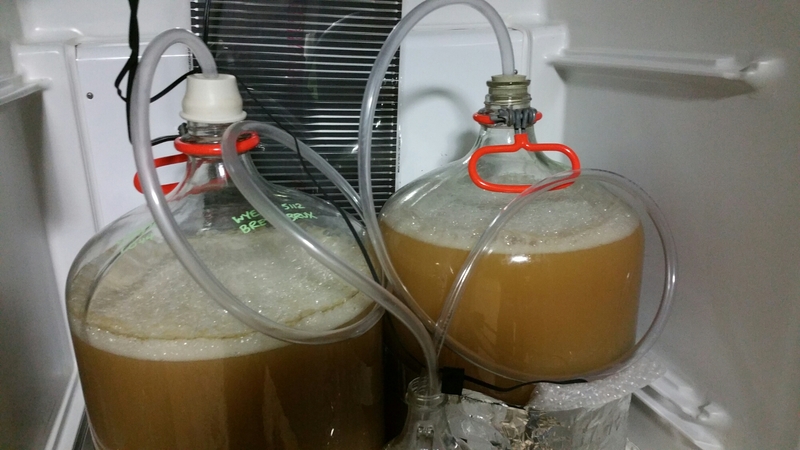 I pitched a mixture of 1L of the 3724 starter and 1L 5112 to the carboy to the left and the same ratio mixture with the Saison-Brett starter to the carboy on the right. 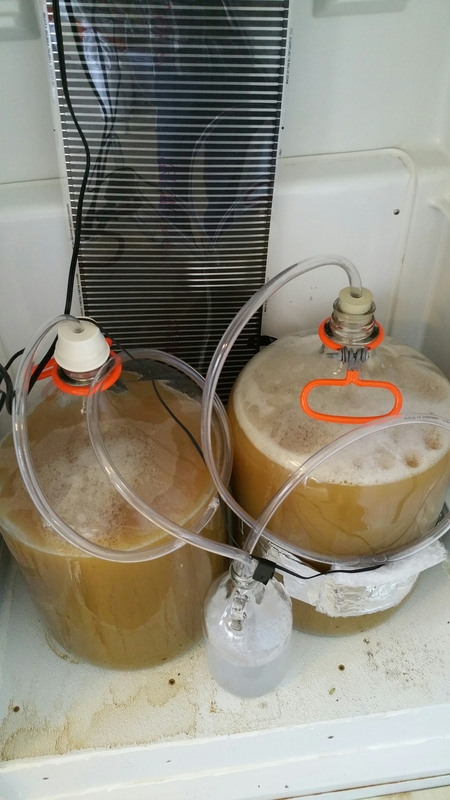 Left them with the temperature controller set to 29.4 C.
Within less that 10 hrs the carboys were bubbling strong and had formed a 1 inch krausen. I’ll update with a gravity reading and taste in about two weeks.Thanks for reading!